Every day, hundreds of families who have been uprooted by violence and destitution are braving the dangerous trip to seek refuge in Europe. Migrants of many backgrounds, such as Syrians, Afghans, and Africans, have been entering through Greece and passing through Macedonia, Serbia, Hungary, and Croatia in hopes of reaching safety in Germany where the doors are open to receive 800,000 refugees. Facing intolerable conditions in their homelands, they are searching for the possibility of a better life, a life with steady, decent work, with readily available basic necessities like food and water, and educational opportunities for their children. But above all, they are searching for a life without the constant threat of war. Having lost almost everything, these refugees risk the journey across unfriendly seas and borders to have a chance at a humane life. 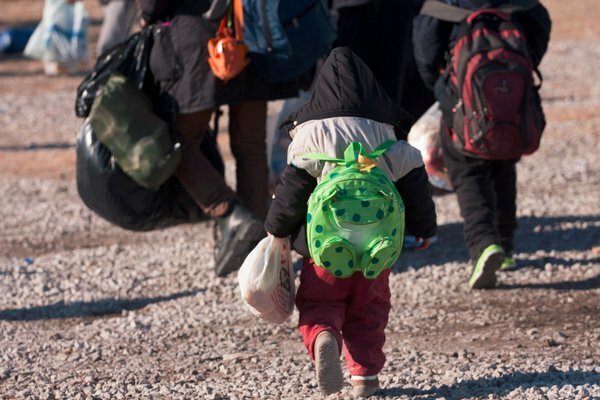 Zakat Foundation of America (ZF) has distributed ready-to-eat meals, hygiene kits, and clean, dry shirts amongst the refugees crossing the borders of Macedonia into Serbia. As the refugee crisis continues to unfold, ZF will be maintaining and adding to its presence on the ground in order to continue to provide for the migrants’ most urgent needs. Your timely support and generous contribution can help alleviate this humanitarian crisis. Please consider making a donation of $60 per food package to help a refugee family in need.